Is there demand for Fitbit data? There are many potential use cases health/activity tracking data. For example, on a personal level, health insurers might give premium discounts if you stay active each week, similar to what some car insurers are already doing by tracking driver behavior. Sports equipment manufacturers could subscribe to anonymized general cohort data to do market studies and target active cohorts/regions for their sales. Researchers across the world are always eager to get reliable sociological data to further their studies. Governments too might want to push for health-related programs in less active regions or cohorts. They could even send people reward tokens for doing more exercise. An important note is that our aim is not to sell personal identifiable data in our public Marketplace. For private stream implementations, users could potentially grant access to additional personal data but that is up-to and totally controlled by the user. Streamr, nor node operators, would have direct access to it, as everything will eventually be encrypted end-to-end across the Network. 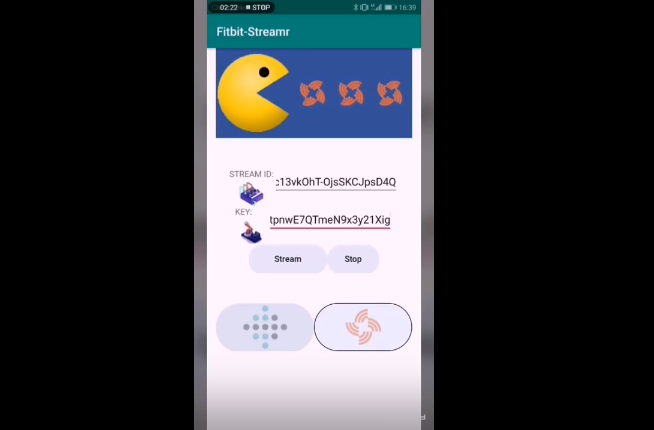 First of all, you will need to download the Fitbit-Streamr app which is available here. For now it is available only for Android devices, you will be downloading a .apk file extension containing the app. Please open the .apk file to install the app. Note that if a failure occurs, you should switch your phone to developer mode. 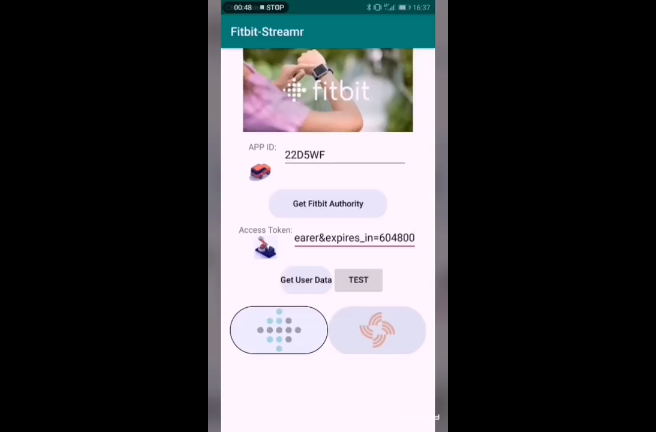 This video tutorial should help you follow the subsequent steps needed to make the app push your Fitbit data to Streamr. Below are all the detailed steps shown in the video tutorial. 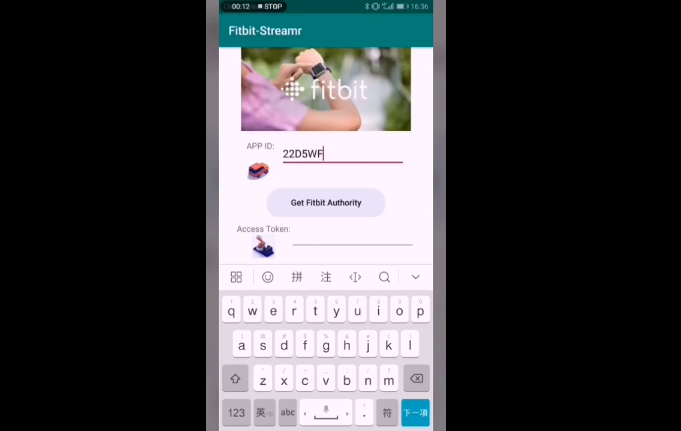 After opening the app, in the first page, please input the FitbitAPP ID . I explained how to obtain your APP ID from your Fitbit account in my previous blog. After that, press the Get Fitbit Authority button and wait for the browser loading the page. Please make sure you are using Chrome as default browser. You will see the new web page allowing you to select which data you would like to grant the app to access. Select the desired options and press Allow.After the Chrome browser redirects to the Streamr website homepage, touch and hold the browser address bar near the top to copy the URL. This URL contains the access token that will grant you, and only you, access to your Fitbit data. Once you have copied the URL from the browser, you can either close the in-app browser or return to the app and paste the entire URL to Access Token input field, and press the Get User Data button. After a few minutes wait, the app will redirect to a second page. In this page, you need to input the Stream ID and Stream Key, which you can get from the stream you have created on Streamr.com, then press the Stream button. Unless an error has occurred, you should be able to see the Streamr logo spinning like a windmill. You can go back to your stream on Streamr.com and see data your data coming in. Congratulations! Your personal fitness data has been uploaded to the Streamr Marketplace successfully. You can run the app in the background such that it can upload the fitness data automatically every 10 minutes. Finally, you can stop the upload process by pressing the Stop button or closing the APP. Specifically, since some smartphones (like Huawei Honor V10) have the power usage firewall, you will need to specifically permission the APP to run in background. Serious data buyers will not be interested in data from just one user. It will also be a hassle for them to try and subscribe to data from hundreds of separate Fitbit products on the Marketplace. Head of DevRel, Weilei Yu has told me that the Community Products solution will try and solve this problem. 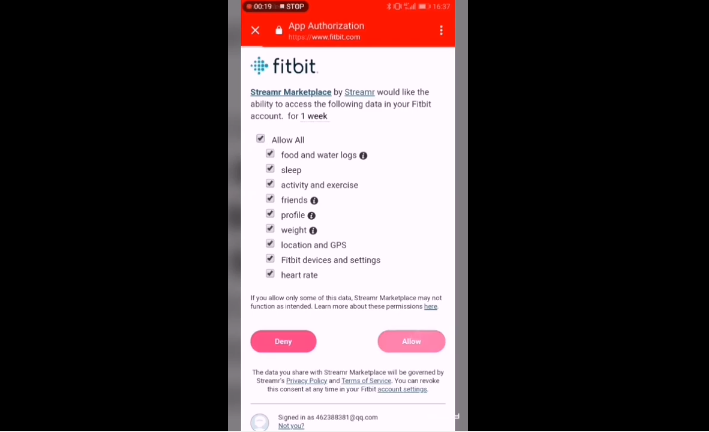 Fitbit users around the world could then use this app to push their data to just one product on Streamr’s Marketplace. That way buyers could purchase everyone’s Fitbit data in one go. Also, for the app, there would be no need to enter a unique Stream ID and Stream Key because that could also be automated — it would all be pushed to the same data product each time. That would make the app even easier to use! Thanks a lot to Weilei Yu for helping develop the app with me and edit this tutorial. If you’re an application developer interested in seeing what the Streamr platform can do for you reach out to Weilei Yu directly on join our Telegram or Reddit channels .